This is the Future of Virginia! An Economically Sustainable and Socially Responsible Virginia! The Bank of Virginia Act will decrease Virginia's financing and banking costs, while supporting and investing in socially responsible ventures! By managing its own money, the state and local governments can save millions annually! Through a socially responsible mandate, taxpayers can now know that there tax dollars are not going to causes they do not support! 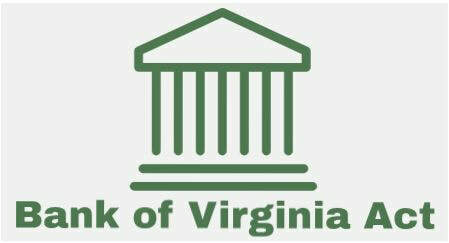 ​ The State of Virginia currently operates four state agencies that could be consolidated into the Bank of Virginia! The Bank of Virginia Act in the News! We are always in need of volunteers to help us realize a Commonwealth with fiscally and socially responsible finances. Whether organizing local informational events, writing Letters to the Editor or calling your local delegate or senator, your help is wanted!